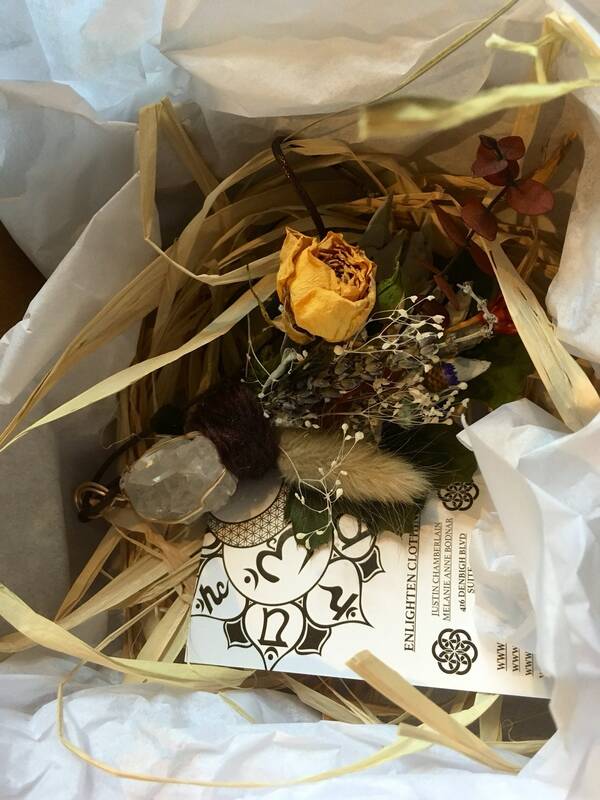 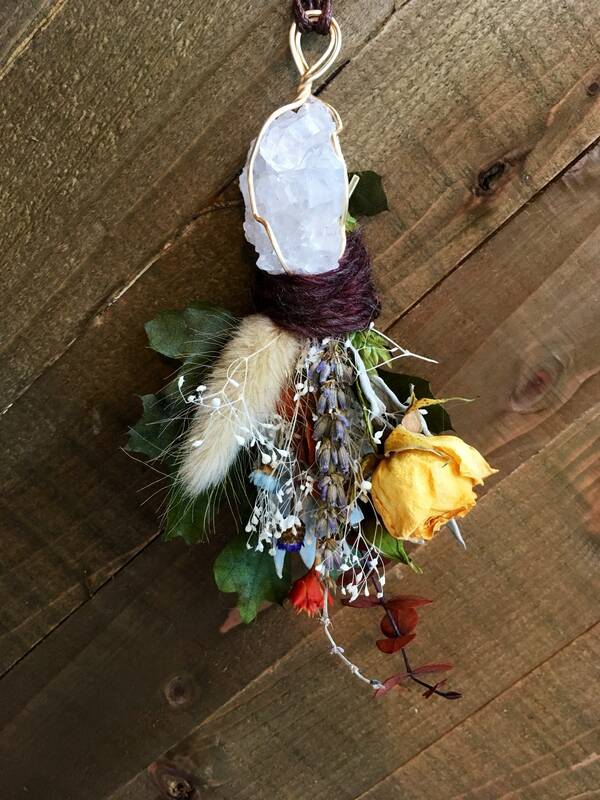 Crystal Bouquet Pendant With Dried Roses, Lavender, Sage and More! 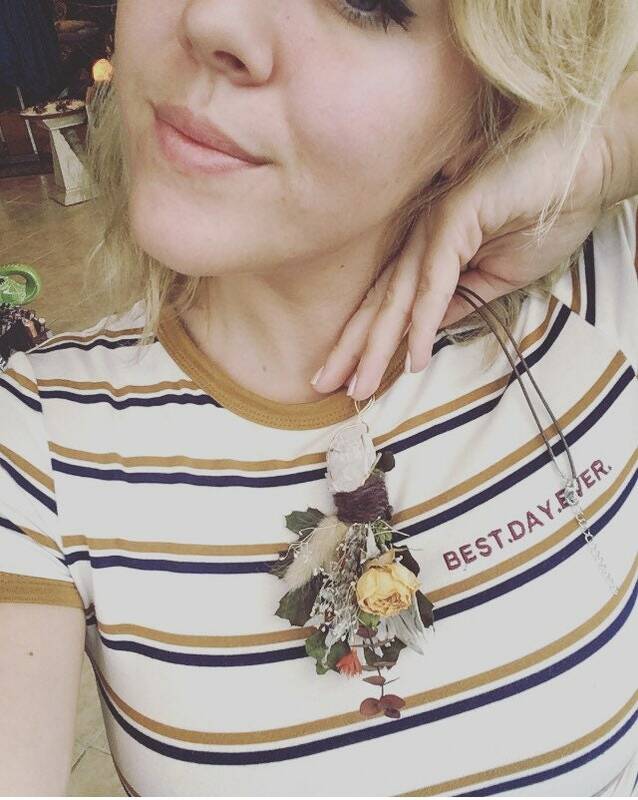 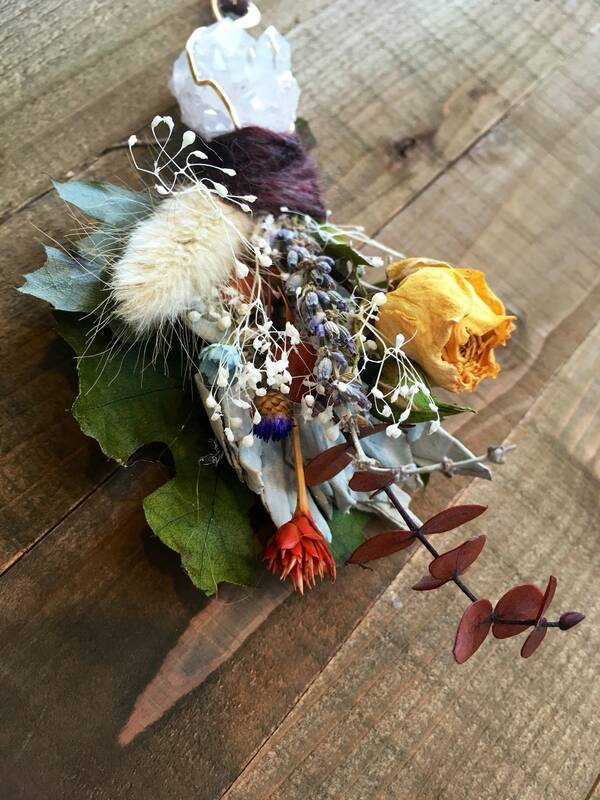 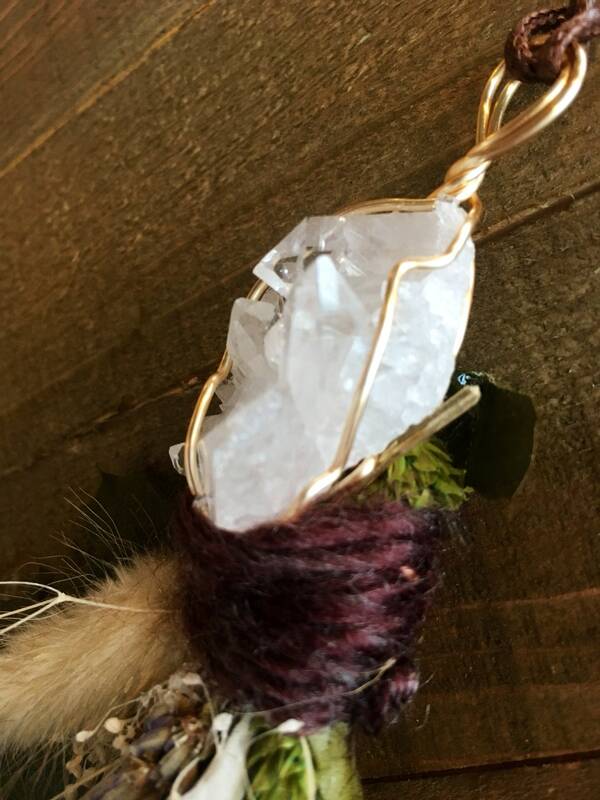 This pendant is handmade using dried white sage, lavender, eucalyptus, baby’s Breath, oak leaves, bunny tails, and an assortment of other dried flowers. 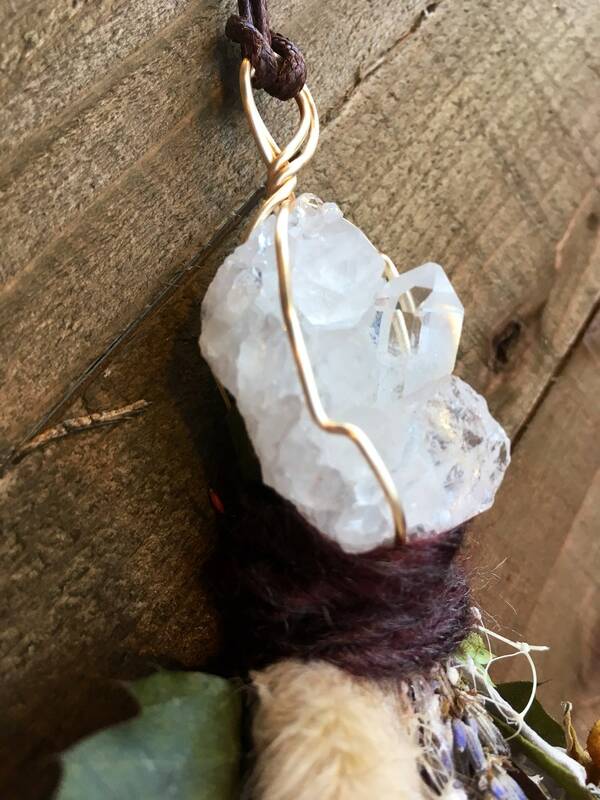 Also used is a grade AAA quartz cluster which is an energy crystal. 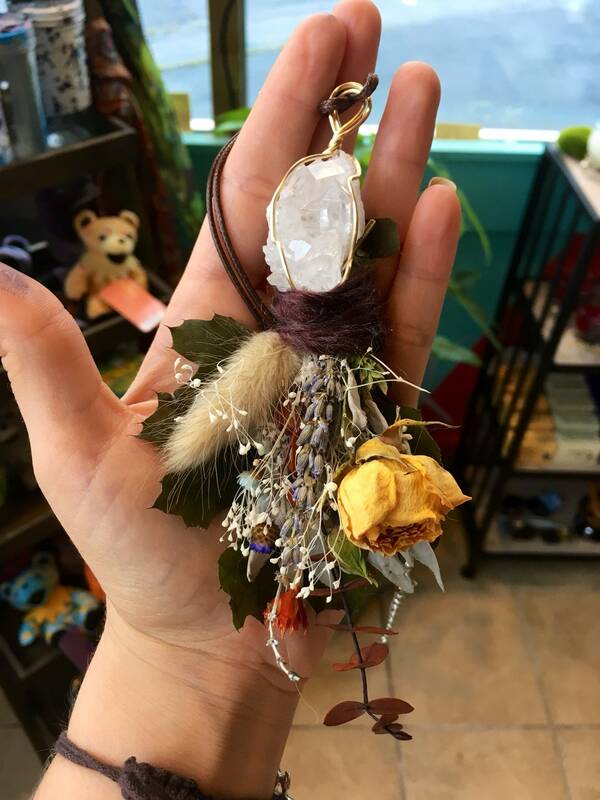 The dried plants I used in making this necklace are known to give healing and calming aromas.